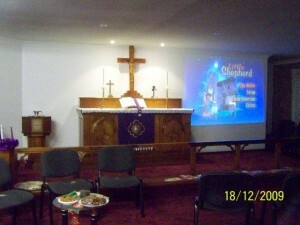 The 2018 Synod was held in Sydney two weeks ago. I am sorry for the lateness of this, but I have attached the summary report for you. If you’d like more information, you could go onto http://www.convention2018.lca.org.au/ or ask me or Joseph. It was my first synod and quite truthfully, I didn’t understand the intensity and the effects it would have on the church and so I urge you all to have a look at the report and reflect on some things that are currently happening. Unfortunately (or perhaps fortunately for the sake of a brief report), we weren’t able to go through most of the proposals presented in the book of reports and so a lot of decisions will be made by the GCB (General Church Board). Please keep the members on the board in your prayers. One of the proposals that did pass was to spend 30 minutes giving a case for the traditional and biblical understanding for the ordination of men only. I have attached the presentation for anyone who is interested. It was presented by Dr Adam Hensley, an Old Testament lecturer at ALC; Annie Gellert, a layperson; and Pastor Joshua Pfeiffer, who is serving at Bethlehem Lutheran, Adelaide. A legend in our town and a corner stone in our congregation. 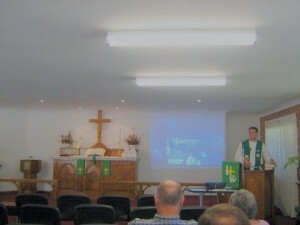 Our first service with our new Pastor Graham. 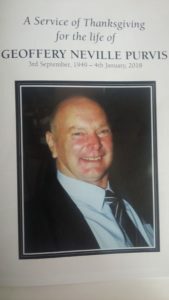 Today we said farewell to Geoff. A good man, he will be sorely missed by all new loved and loved him. Memories of good times gone by. 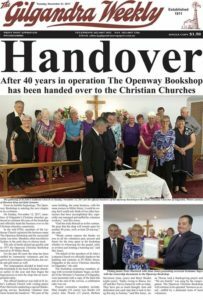 After 40 years the Openway Bookshop has been handed over to a committy to manage.Former Pastor Peter Hartwich has returned for the service. 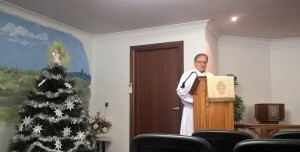 Peter Heintze preached today. Peter is a 4th year Student at ALC..
26/05/2014 Truckies pull up for a break and some time out with the Lord..
Family and friends of Mick came together today to celebrate a life well lived. Mick has played an integral part in many of our lives and will be sadly missed. May he rest forever in God’s loving arms. 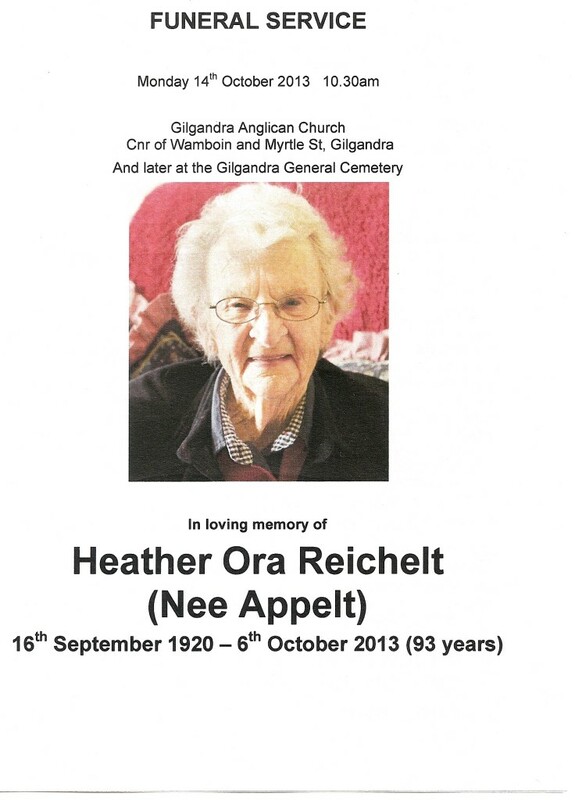 Today we farewelled a much loved corner stone of our congregation. 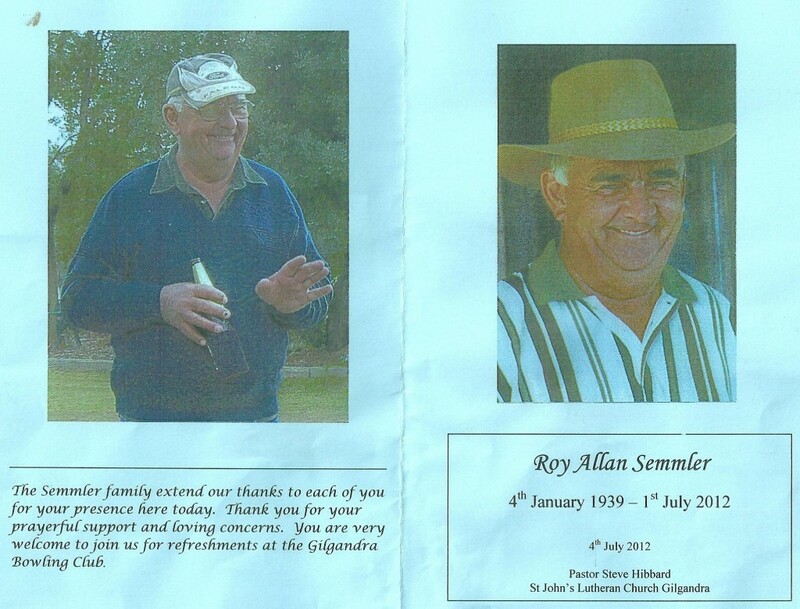 Roy will be sadly missed by all who knew him. 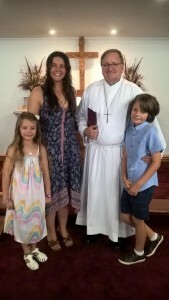 Special visitors to Gilgandra at the weekend were Pastor Sam Simpfendorfer and his wife Alicia. The Lutheran congregation was treated to one of his wonderful sermons starting off with the attention grabbing statement “you know St Paul would have been labelled a ‘terrorist’ in our day and age – if you don’t like the message then kill the messenger!” That’s what St. Paul did to the Christians before he met Jesus in a life changing encounter on the road to Damascus. SHEDNIGHT Australia… for Real Men… sons of the KING OF KINGS! On the 2nd of September will be a date you could be with us for our first “Shed Happens” !!!!!! We’re excited that on Thursday 2nd September Andrew Baker will be there with his B Double(Photo),and Watto will be down from Brisbane for a chat with many local Blokes. 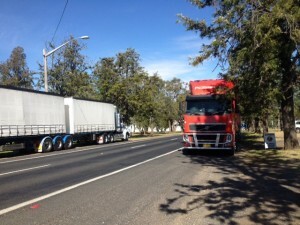 10,000 trucks pass through Gilgandra every week and this event is for truckies to stop and enjoy a burger and an encouraging word. Trucks can park outside the Lutherna Church. RSVP for Gilgandra’s NSW First Shed Night for TRUCKIES! 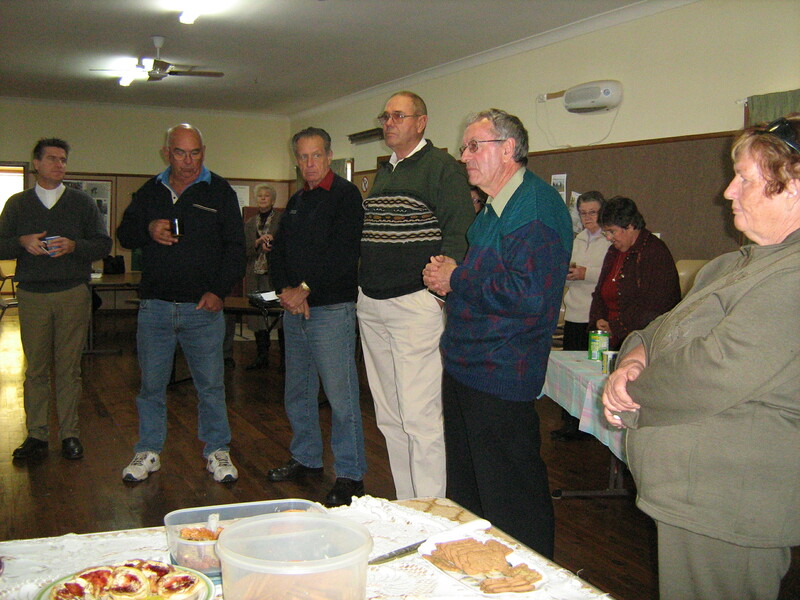 Last Sunday seven members from Gil and two from Dubbo went out to Nyngan to the Farewell Service. 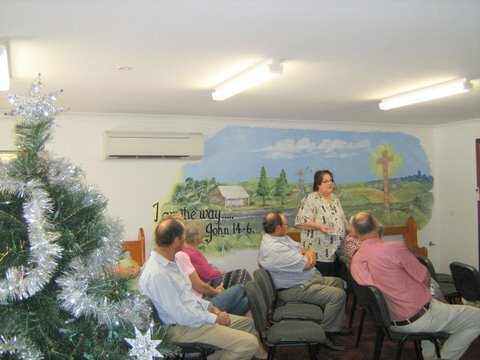 We had a great time of fellowship with the Nyngan Uniting folk and the two Klante Families. I can recall travelling out to Nyngan to support the congregation there when Pastor Quast began the Congregation. Our Geoff (now known as Jethro of Walgett) was a very young baby travelling with Roy and Nancy and their family. 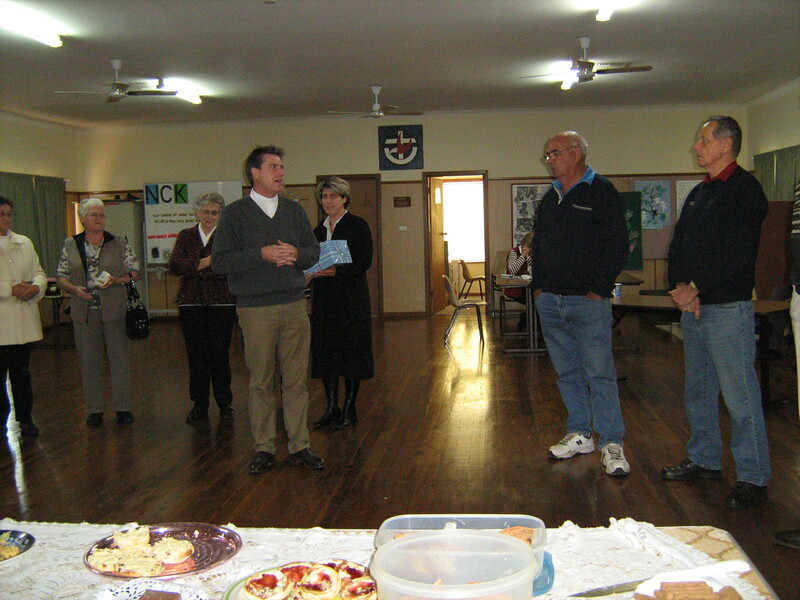 The morning tea was a special occasion for reminiscing and paying tribute to those who have kept the ministry going. The Uniting people were very appreciative of Pastor Brenton’s work in serving them while they have not had a minister of their own. A Uniting church minister has now come to serve Cobar and Nyngan and surrounding areas. It has been a great example of Christians working together as disciples of Jesus rather than denominational. 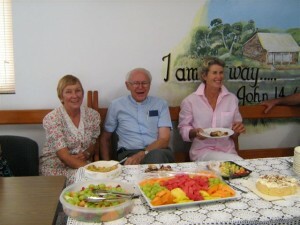 The Gilgandra contingent stopped at the Collie Pub for a delicious meal and time of sharing. The year 2009 will go down in the history of this congregation as a very amazing year. 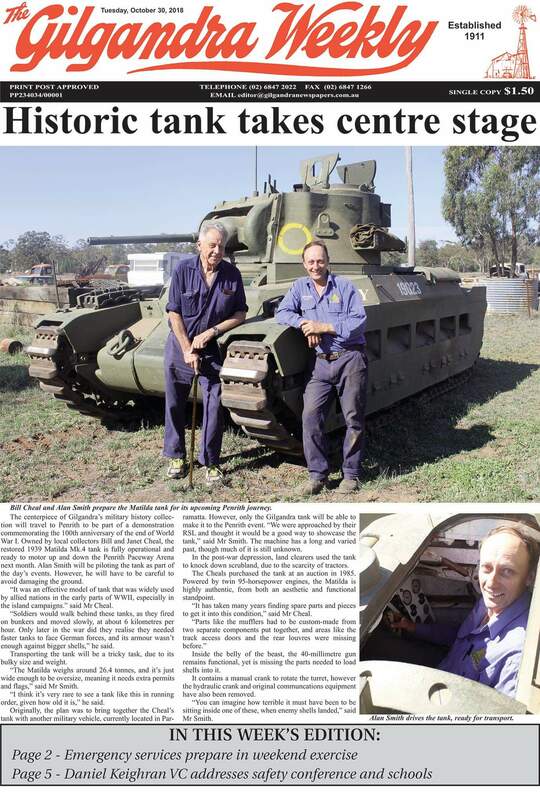 Eighty years of worship at 15 Elizabeth Street, Gilgandra came to an end in June. 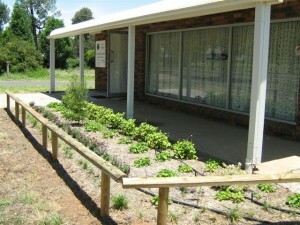 A new and different course was taken as our smaller, newer building on the highway, opposite the Tourist Centre at Coo-ee Park, was dedicated on the 14th June, 2009. Our worship has not changed and the same faithful members still attend but a new different direction has begun. 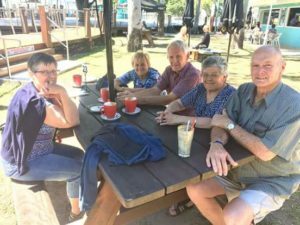 We feel led to find ways of bringing the Good News of salvation through faith in Jesus to the truckies and travellers who pass through our town. There are thousands of trucks and travellers who pass the front doors of our church every week and each one of them need to hear the message of God’s love for them and His salvation in Jesus. The lovely furniture from the old church has been incorporated in the new; the altar, lectern, baptismal font and pulpit look really good against the white background of the walls. The organ, electric piano and sound system; new, comfortable chairs and the carpeted floor combine in a welcoming ambience. There are still many things to be done to prepare the building. 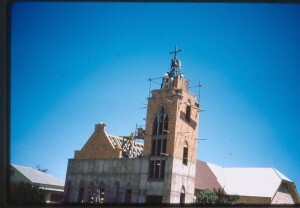 The chrome cross from the old building will be placed on the roof. It was made by John and Don McLean at the GTS workshop in 1962 and is still in pristine condition. A large sign on the roof will clearly indicate who we are and our purpose for being there. 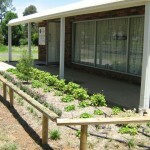 Joan and John Jones have landscaped the front area of the church and planted a lovely, neat garden, surrounded by a low, log fence. The car-park will be one of the big jobs this year and Semmler’s Sand and Gravel have undertaken do this. 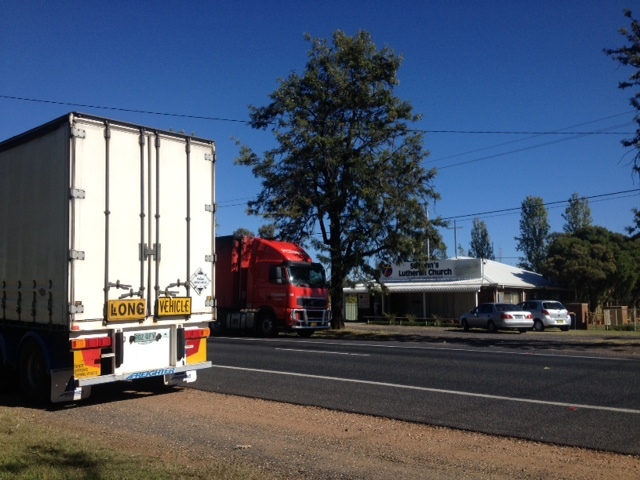 Our congregation has approached The Bible Society with an idea of providing a “Truckies Bible”. Pastor Richard Mau of Lutheran Media is also excited about working to produce literature, radio broadcasts and material to help bring the Gospel to the people we reach out to. Pastor Brenton leads us in inspiring worship services and our Lay-readers also do a great job on the Sundays he preaches at Nyngan. We also gather on Thursday evenings and the studies, led by Pastor Brenton, have been rich and meaningful, reminding us of the central truths of our Christian beliefs, their relevance in our daily lives and our purpose in the world. 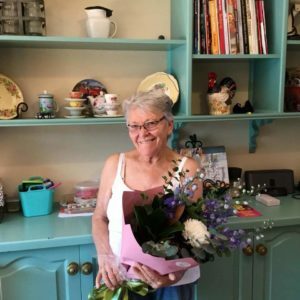 Our Openway Bookshop continues to flourish and we are very grateful to the other Christians in Gilgandra who continue to work with us in running it. We pray that it will continue to be a blessing for our town. 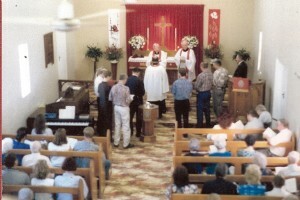 The special Combined Church’s Service in August was very well attended. The Dubbo St. Marks Lutheran Youth Band led modern Christian songs and the grand piano inspired the singing in the well known older hymns. 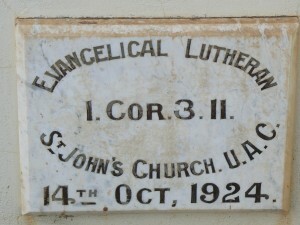 The typically Lutheran Service was highly commended and enjoyed by more than three hundred worshippers in the Shire Hall. Sharing the wonderful news of salvation, through faith in Jesus’ gift of life to us, is our focus and we are confident that God is leading the way and will bless all that we do in His Name. Our prayer for the future is that our small congregation will meet the challenges with courage and conviction and not loose heart when the going becomes difficult. We want to reach out with the Good News of salvation to truckies and travellers and we ask God to continue to lead and guide us in this work He has given us to do for Him. A very Blessed Christmas and happy New Year 2010. 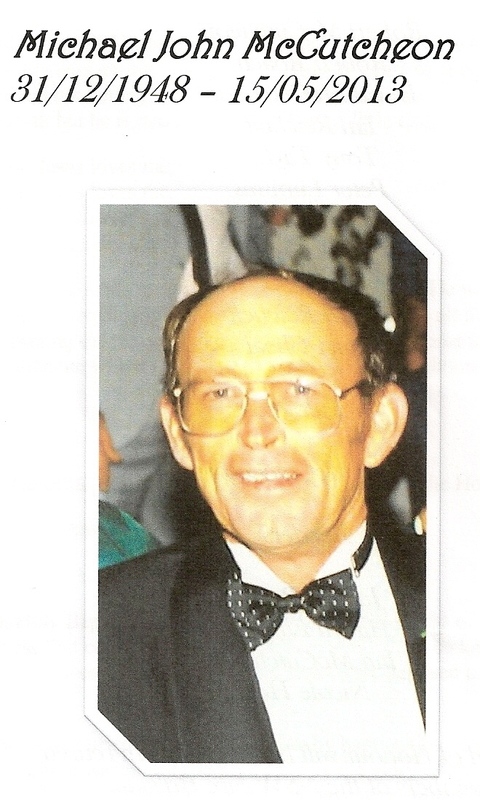 Bill Cheal is the Chairman of our congregation and helped to steer it through some very rough waters last year. The old building was sold and a new one on the highway, opposite the Tourist Centre, has been purchased. With the support of faithful members a new vision is emerging – to be a “Church for Truckies and Travellers”. There are thousands of trucks through Gil every week – a huge “congregation” of men and women who have a hard and often dangerous job and we want to find ways that we can help them meet their spiritual needs. 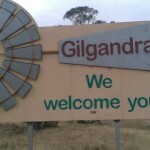 Gil is also situated ideally on the main highway from Adelaide and Melbourne to Brisbane. We want to create a place that people can feel free to come as they are and worship with us. The altar, communion rail, pulpit, lectern and font were all brought from the Elizabeth St. church and it looks very good. Other Christians in town joke that “the Lutherans have gone from the worst seating in town to the very best.” Yes, our chairs a lovely and comfortable. A local Christian artist has painted a mural on an inside wall and our motto is “I am the Way” John 14:6 We all had a goose bumpy moment recently when we realised that the Dedication of our new church was on the 14th June (14-6) and our name is St. John’s!!!! 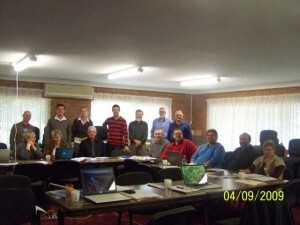 It felt as if God is assuring us we are on the right track and doing what He wants us to do as His people in Gilgandra. Photos from this weeks DCC Meeting. 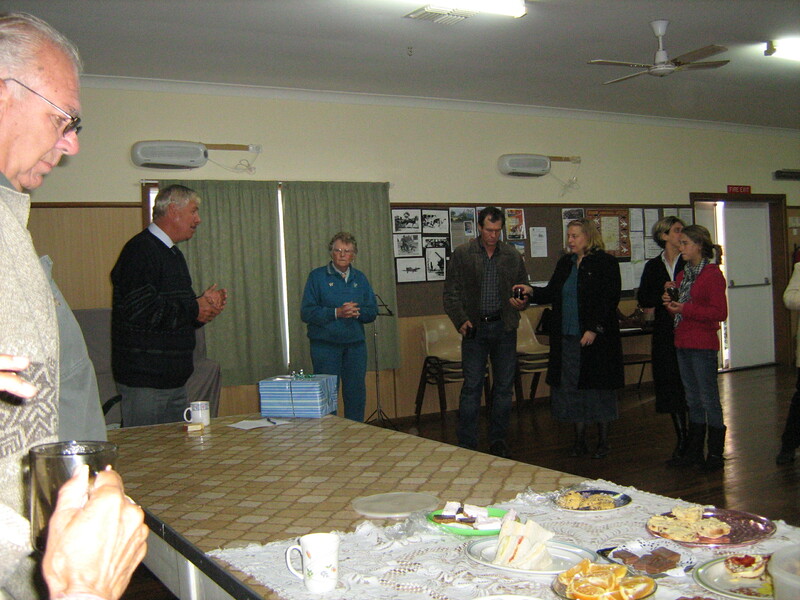 Held in the new Gilgandra church bulding. Nurtured by the Lord so we can work with each other to reach out with His pure Word and care – through worship, resouring and teaching. 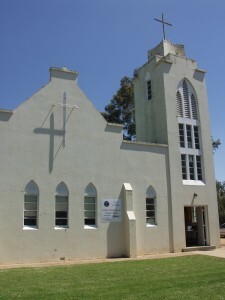 Situated in Elizabeth St Gilgandra St John’s is a Sister congregation with St Mark’s Dubbo. 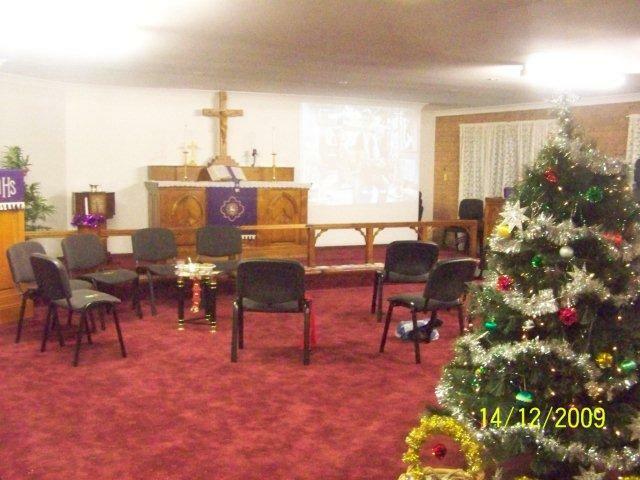 “The members of St Johns Lutheran church Gilgandra wish to announce that the old St Johns church building in Elizabeth street will be closed with a closing service held on the 14th of June at 10 am. The service will be proceeded by a procession to the new church building for a dedication and opening rite. 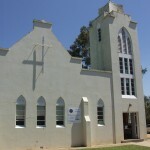 Following the services there will be an inspection of the new Lutheran church and a shared BYO luncheon. We invite any past members and friends as well as any ministers who have previously served the congregation in some way to feel welcome to attend the closing service and opening and dedication service of the new Lutheran church building 1a Castlereagh street Gilgandra.”Pastor Brenton. When Jesus died on the Cross, it was an end of an era. Three days later when He rose again from the dead, it was a new beginning for all of us. So too, has the Gilgandra Congregation reached an end of an era, and about to start on a new beginning. On 14th June, 2009 a chapter in the history of St. John’s Congregation Gilgandra in NSW will come to an end when they hold their closing service in their Church building at 13 Elisabeth Street Gilgandra where St. John’s Congregation have worshipped since 1924. 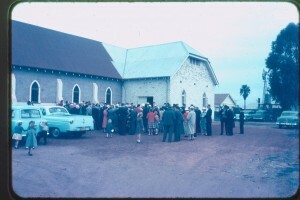 This closing Service will be followed by a procession out of the Church carrying vessels, paraments, mistle and other vessels of God, from the old church building, after which they will proceed to 1A Castlereagh St, Gilgandra for the dedication and opening of these premises as the new St. John’s Church building. The dedication and opening will be followed by a shared light luncheon and fellowship. All are welcome. The sale of the old church building was not taken lightly and was (and still is) very agonising for many people, but after several years of discussions and meetings about the deteriorating state of the buildings, we decided to sell and move to a smaller, more modern building that will be easier to maintain and still serve the needs of our dwindling and ageing congregation. So while our hearts felt that we should repair and maintain the old building regardless of the cost, our head said that it was far more cost effective to sell the old building and purchase a smaller, more modern building. 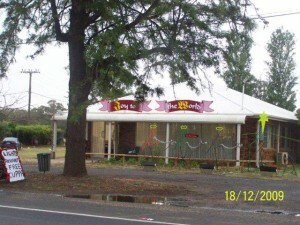 This new building was formally a restaurant, being of double brick construction and is situated on the Dubbo side of Gilgandra, on the main Newell Highway, opposite the Coo-ee Park and Museum. 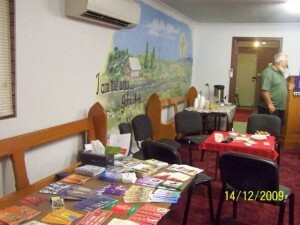 We are very fortunate to have a former congregational member, Darren Semmler, (who has moved to Dubbo Congregation) as our builder and was able to carry out the internal alterations to give a seating area of 80-100 people, a raised sanctuary area, kitchen, vestry and amenities area, all under one roof. The congregation would like to thank Darren for his effort and the savings and contribution he has put into this construction. The new building has been designed so it can be used as a small conference centre or a meeting place, not only to be used by our members, but also by the wider community. This has been achieved by the compact design and the purchase of individual stackable chairs. 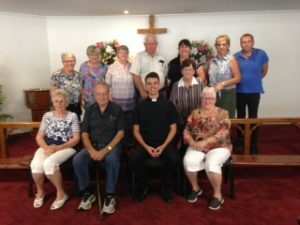 Hopefully, this move will give the Lutheran Church in Gilgandra a period of consolidation from where we can move forward and witness better to the wider community. Bev Purvis Member St John’s Congregation Gilgandra. Community Hymn singing at St Johns Gilgandra. 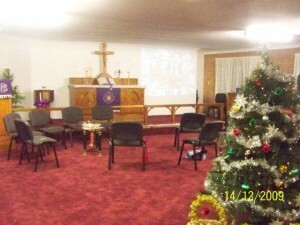 Today, 7th December 2008, at 3:00 oclock more than 80 Christians gathered at our church for an hour of worship in song. Bob Burrel of the AOG Church had felt that the Holy Spirit was asking him to organise a community singing ‘event.’ He’d never done anything like that before so he asked a few folk what they thought of the idea. 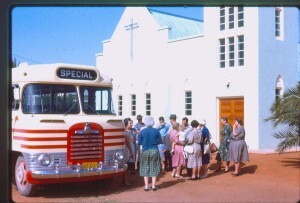 Then he telephoned Janet Cheal of St.John’s congregation about providing the music and they soon had a programme on the way.Bob felt strongly that the opening and closing hymns were especially chosen by the Spirit and it took quite an effort to find the music as Janet didn’t know either of them. Any misgivings she had about people singing them were dispelled as soon as the worship began. Bob was very keen that most of the accompaniment was on the magnificent organ St John’s is privileged to have. Old favourites were included such as “The church’s one foundation”, “Praise my Soul, The King of Heaven’ and “Rock of Ages”. The second last song was “Majesty” and Lorraine Sorensen added to the praise playing a beautiful bassline on her Euphonium. Peter Gaff organised the hymns on the overhead and cool drinks were available during a break in the middle of the programme. 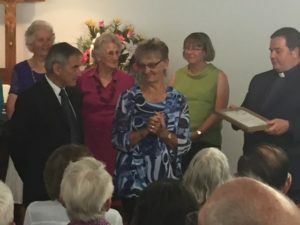 There were folk from the Anglican, Uniting, Catholic, Presbyterian, Assemblies of God, Church of Christ, AIM and Lutheran churches combining in heartfelt praise to God. The COC congregation would have loved to be there too but a special event in their church made it impossible to join with us this time. A song new to many people “I cannot tell why He whom angels worship -should set His love upon the sons of men” sung to the tune of “Danny Boy” was a favourite. 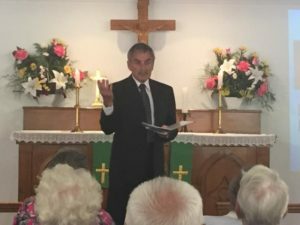 The churches were asked to supply a list of two or three of their favourite hymns for inclusion in the programme and so a wide selection was achieved. 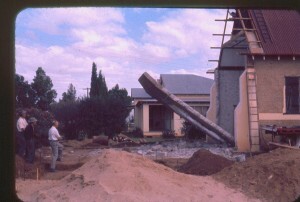 taken about 1960 of church extensions. 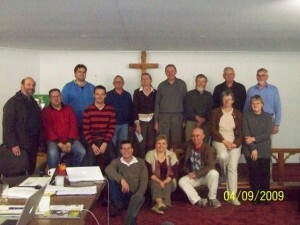 The Dubbo-Gilgandra Parish(and preaching places at Nyngan and Coonabarabran) has no resident Pastor at present. 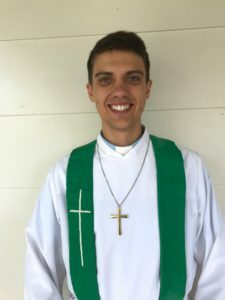 Pastor Brenton Fiedler moved to Toowoomba in January this year so the Parish will be treated to a variety of visiting Lutheran Pastors over the coming months whilst waiting for a new Pastor to accept this Parish’s Call. 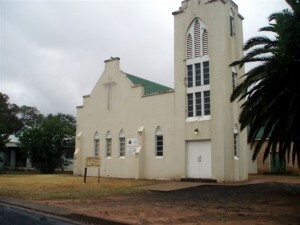 I was a member at St Johns in the 1950&1960 and saw the building of the church, It is sad to see it close but God moves with the times also May the new church be blessed . I was so pleased to see the photos of the Nativity Scene which was displayed in front of the new church building on the Dubbo Road! I had no idea that they were still in existance! Some history of the abstract figures who represent Joseph, Mary, Baby Jesus and the 3 Wise men on their camels. Pastor Noel Schultz shortly after he came to serve with us gave me a page out of an American Lutheran magazine which showed a very attractive nativity scene and asked me if I could replicate the entire scene assemble it in front of St Johns in Elizabeth Street Gilgandra and illuminate it so it would really make an impact on the passing public. I then drew up a scale drawing and decided for longevity of the display I would use what they used to call 1/2 inch black structural pipe. The fabrication was compelted in our workshop then I did some research and found that there was a fluorscent paint that glowed under ultraviolet light, it was hard to get but a chance meeting with a British Paints Representative in the local Department Store who had a comprehensive catalogue of their products proved fruitful so the paint was ordered in various colours and the figurines were painted with that paint and then the search for a UV light source was found. These were in the form of 20 watt fluorscent tubes at an electrical warehouse in Dubbo, these were duly ordered in and so holders and reflectors had to be made, lights wired in, using long leads and plenty of double adaptors! 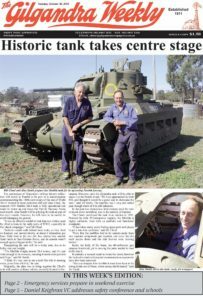 I had lost track of those figurines after I had moved from Gilgandra in 1994 and assumed that they had long been turned into scrap. 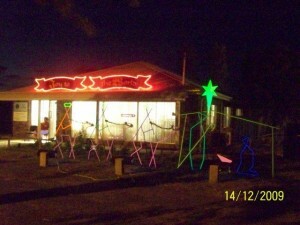 As I considered the same display for St Peters Lutheran Church here in Port Macquarie. I recall that the painting was done during a working bee by the members of the Luther League! You have no idea how tickled pink I am to see them being still used to promote the true story of Christmas, they are indeed evoke very fond memories of my younger days in the Luther League in Gilgandra! Those figurines are 50 years old! Thank you for featuring them on your webpage! Good to see some classic pics posted which bring back some great memories of some of the best days of my life where life long friendships were formed and where the foundations of my faith were set . My family and i were sent here because this web-site was tweeted by a woman I had been following and am delighted I made it here. Hello it’s me, I am also visiting this web site on a regular basis, this web site is in fact pleasant and the users are really sharing good thoughts.